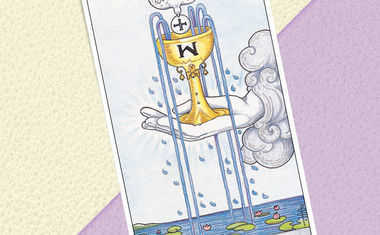 This article's content includes contributions from Tarot.com writer Christine Payne-Towler. How's your life working out for you? 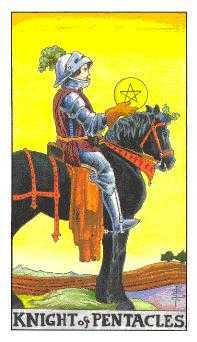 That's the key question that Tarot's suit of Pentacles wants you to ask. 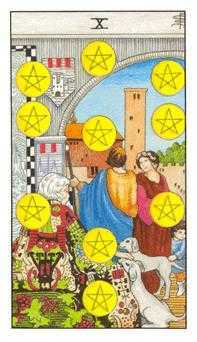 If you don't like the answer, it's the Pentacles cards that can provide the insight you need to start moving in the right direction. 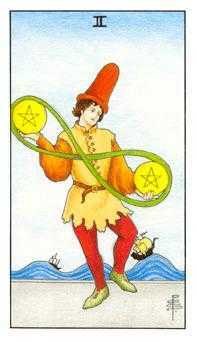 Tarot cards in the Pentacles suit -- sometimes referred to as "Coins" -- pertain to things in the material and physical world. 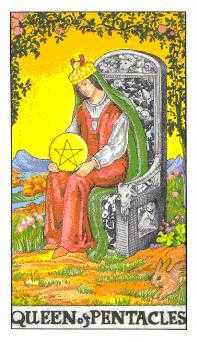 Often Pentacles are mistaken as only symbols of wealth and money matters. But in truth they speak of success and prosperity on all levels -- this includes money and career success, but also family, body, and health matters. 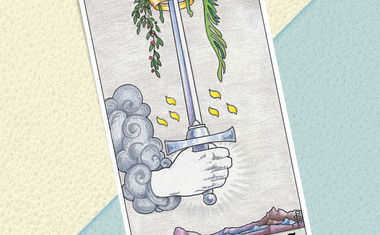 See which Pentacles cards have a message for YOU with a Celtic Cross Tarot reading now! 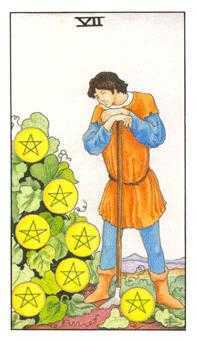 The suit of Pentacles is connected to the winter season and the Earth element, which represent stability, practicality, and determination, as well as giving and receiving. 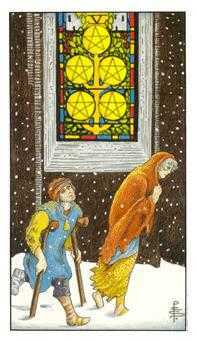 When a Pentacles card turns up in a Tarot reading, it’s typically an indicator that something in your material world needs attention. This can be positive -- such as a successful business transaction or a large inheritance; or negative -- such as health troubles or obstacles in the way of your success. 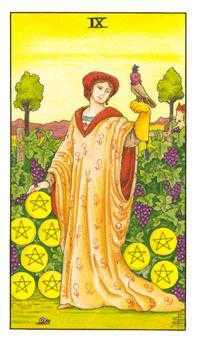 Emotionally, the Pentacles symbolize energies of safety, security, and abundance. The theme of prosperity is not limited to only a financial experience. 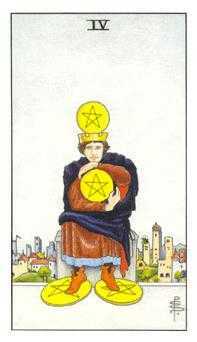 Even the poorest person can be enriched and increased by the experience of a golden moment, contact with goodness, or beauty -- all parts of the Pentacles suit. 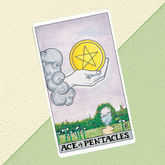 The Pentacles Tarot cards can also symbolize strengths or gifts you hold. Those who are willing to invest themselves -- their time, money, and labor -- deserve the rewards of effort. 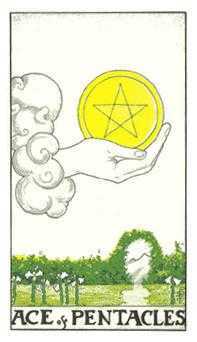 The Pentacles provide those rewards, as well as supply the means to earn and deserve them. 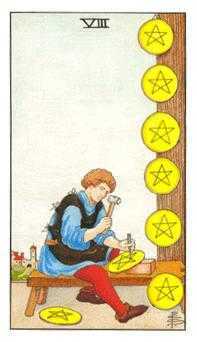 Whether it’s intellectual, entrepreneurial, artistic, or any other "property" you command (including the sheer brute energy and strength to outwork those around you), the Pentacles symbolize the value of your assets. This suit also represents your personal values -- the things you love, are attracted to, and collect around yourself. 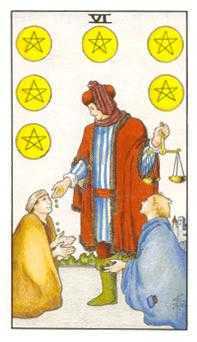 If you can translate this into a way to pay your bills and take care of your family, you have mastered the Pentacles. 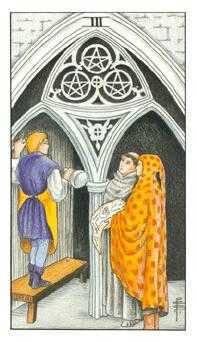 The suit of Pentacles in a classic Tarot deck consists of 14 Tarot cards beginning with the Ace of Pentacles, progressing upward through the 10 of Pentacles, and concluding with the four Court cards, the Page, Knight, Queen and King of Pentacles. 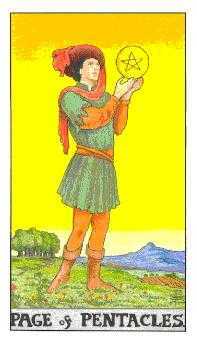 Keep reading to learn about the meaning of each card in the suit of Pentacles. 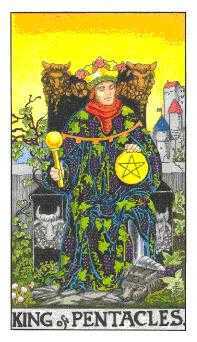 Reveal which Pentacles cards show up for YOU with a Celtic Cross Tarot Reading now!